The perfect beer calls for the perfect glass. Grape and Granary has you covered on that front. We carry all of the homebrewing glassware that you need to enjoy your beer, no matter which style you brew. 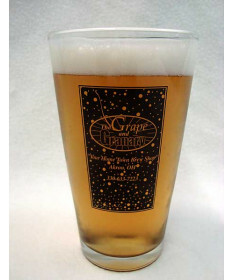 Pilsner glasses, classic pub glasses, British pub glasses, and more, you’ll find it right here. Take a look below at our full selection of glassware.